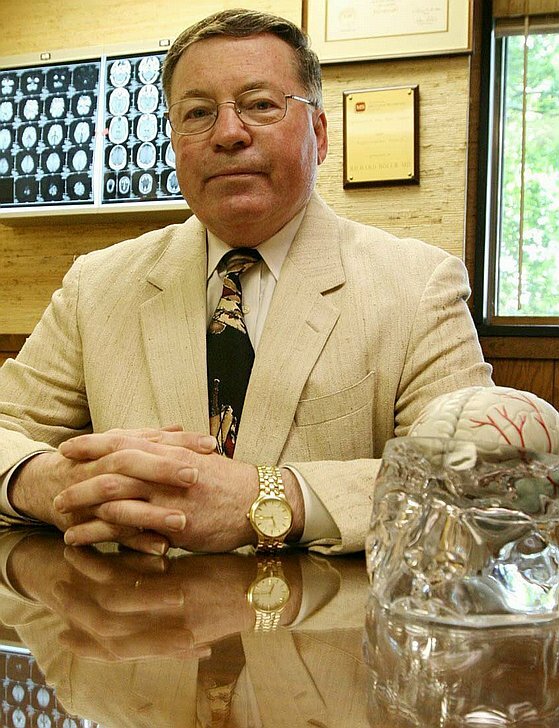 Shortly after Dr. Richard Holub started working with people with Alzheimer’s disease in 1985, magnetic resonance imaging became available, allowing doctors to see the brain in a detailed image. In recent years, Holub, director of Neurological Associates in Albany, said Positron Emission Tomography (PET) scanning has been able to measure the metabolism of the brain or show where brain tissues are working normally. Now Holub is involved in a national trial that is studying a new molecular imaging compound made by Avid radiopharmaceuticals, called F-AV-45. The compound, which is injected into the patient, is used with PET scanning to allow visualization of the amyloid plaque deposits in the brain that are characteristic of Alzheimer’s disease. Amyloid plaque is thought to slowly accumulate in patients over years, eventually causing the death of brain cells and dementia. In the United States, the Phase II clinical trial of F-AV-45 will enroll approximately 200 patients of varying degrees of memory loss at more than 30 centers across the country. The trial involves a single administration of F-AV-45 and a PET imaging procedure that is completed in less than 1 hour. The study is designed to show how F-AV-45 imaging of amyloid plaque compares between healthy volunteers, patients with mild cognitive impairment and patients with Alzheimer’s disease. Ideally, Holub said patients with mild memory loss would have a baseline scan, be treated with the drugs approved to treat Alzheimer’s disease, then be rescanned to follow the patients’ progress. If the compound becomes approved in the future, Holub said it will help doctors identify patients who have a true problem with Alzheimer’s disease, versus a patient who may be concerned about memory loss but actually doesn’t have a problem. Holub said one of the reasons that this study is important is that the population is aging and baby boomers are reaching retirement age, they are also beginning to reach the age where they will begin to have Alzheimer’s disease. Scientists think that as many as 4.5 million Americans suffer from Alzheimer’s. The disease usually begins after 60 and the risk goes up with age. About 5 percent of men and women ages 65 to 74 have the disease, and nearly half of those age 85 and older may have it. “We have to do something now to identify it early, prevent it if we can, and control it, so that the cost and burden on society won’t become excessive,” said Holub. Holub said the study will end in September, and the results should be published by the end of the year. If the results look good, then the compound will be put before the Food and Drug Administration for their consideration for approval. Anyone interested in the study should contact Neurological Associates, 760 Madison Ave., Albany.